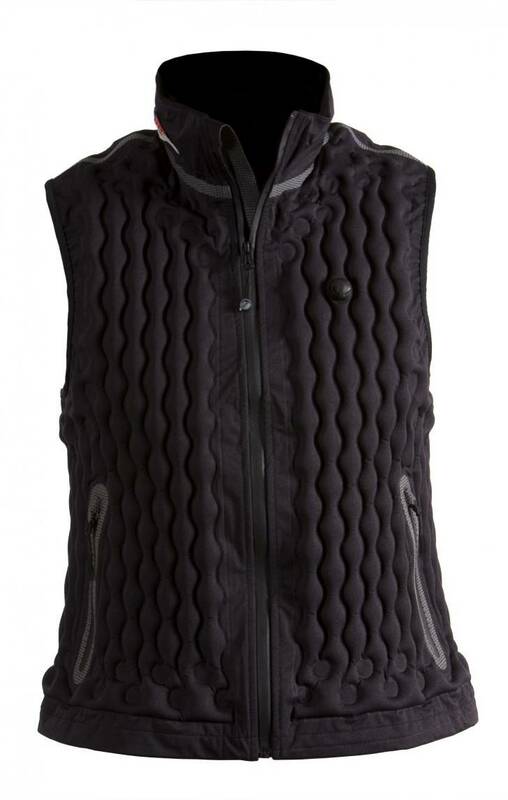 The Klymit® KineticTM Double◊◊DiamondTM vest has been carefully designed with the utmost attention to detail. It is constructed using a high-tech welding process, and Klymit's® special chamber design, mated to a 4-way stretch fabric. Included Starter Kit contains: Klymitizer, 3 KwikShots, stuff sack, patch kit, Karabeaner, instruction booklet. Variable Insulation: Warmth on Demand. Warm When Wet: Maintains thermal properties when wet and even submerged. Dynamic Channel Design: Ventilation is enhanced while deflated yet when inflated NobleTekTM chambers conform to your body snugly, capturing your body heat. Windproof: Pressurized chambers of argon never collapse when inflated and are unmoved by wind. Thinner: Packs up to a fraction of the size of traditional insulating items allowing for compact storage and easy access on the go, yet insulates up to 3 times better than traditional insulation. Lighter: Argon is virtually weightless. Based on the volume of gas in the vest you can change your insulation from that of a windbreaker to a full-on ski parka with no change in weight. Loft Retaining: NobleTekTM will never lose its loft like traditional insulation will. Just pump and go. Safe: Breathe easy, argon is non-toxic and non-flammable, you have been breathing it since the day you were born. Eco-Friendly: NobleTekTM is the only insulation you will never see in a landfill.